As I write this I am sitting in a hotel in Ningbo, China....BORED! I have just under two weeks left to go before I am back in the states. I am here on business checking out factories and what not durring the day but find myself bored at night. I have done the club and KTV scene before and am burned out on it. With not much to do I must resort to the internet for my entertainment but being in China means that the usual Facebook and Youtube is blocked! Because of this, Oppo has been my saviour!! You all are keeping me sane and helping me press on before I am home. I must give many thanks for that. So please, keep the good posts comming and I will be ok. I am loving the toy car posts especially so show me more! I am always on the hunt and can't wait to look for more Hot Wheels when I am back. Anyways, for my appreciation...have a giant pile of CAMSHAFTS!!!!!!!!!!! These are being made at a factory I went to for some China brand car but I still got excited. 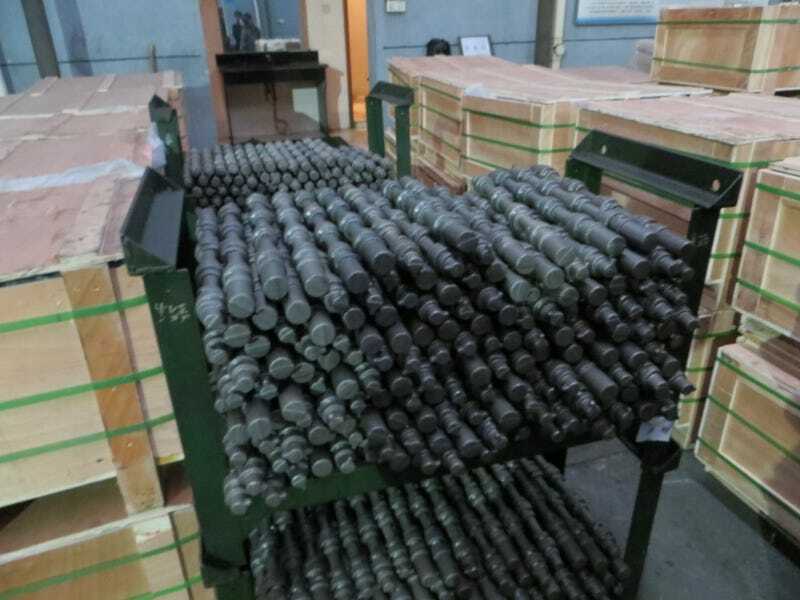 These are after basic forging before final machining has began.